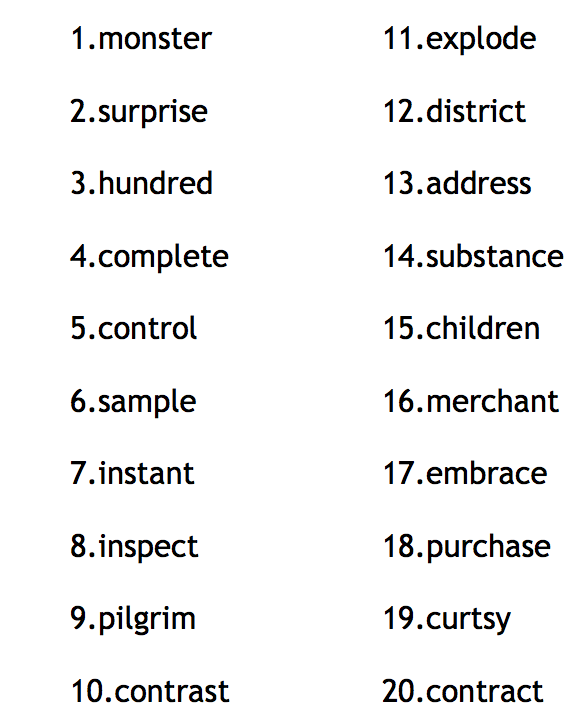 This week's word list includes words which follow the syllable pattern of VCCCV (Vowel, 3 consonants, vowel). These words include blends in the middle of a word. We will focus on breaking these words into each syllable to make sure we write down each sound we hear.